The Residences at Northpark Place is a 208-unit complex located in Columbus, Ohio. The site is more specifically located near Polaris, which is highlighted by the Polaris Fashion Mall and all of the additional retail and restaurant establishments that are associated with a regional mall of this size. 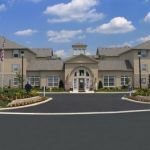 This 292-unit garden-style apartment community is located on the south side of Columbus in the midst of the largest logistics and distribution center in the State of Ohio. 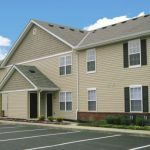 It’s convenient to shopping, dining and a variety of entertainment, as well as all major southeast Columbus corridors. 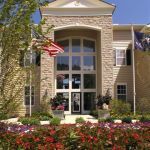 The Residences at Riverpointe Place is a 120-unite extended-stay complex in Westerville, Ohio, northeast of Columbus. 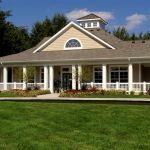 The site is just minutes from major employers, including The Limited, The Ohio State University, the State of Ohio, and more. 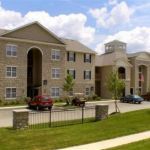 Worthington Green is a 48-unit two-story garden-style apartment community located in the Worthington area of Columbus, Ohio. 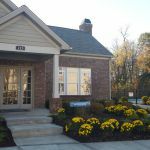 It features spacious and thoughtfully designed floor plans, attractive finishes, and a resort-style pool with sundeck and poolside cabana. The Residences at Northpark Phase II is a 264-unit complex which will join the existing 208-unit Northpark Phase I. It is located in Columbus, Ohio’s Polaris area, which is highlighted by the Polaris Fashion Mall and all of the additional retail and restaurant establishments that are associated with a regional mall of this size.